Molly MacKinnon is a freelance violinist and collaborative artist who lives and works on the unceded Coast Salish Territories of Vancouver BC. She has been featured as violinist in numerous theatre productions around town including STATIONARY: A Recession-Era Musical (Delinquent), The Tempest (Bard on the Beach), Elbow Room Cafe: The Musical (Zee Zee) and Urban Ink's Les Filles Du Roi. 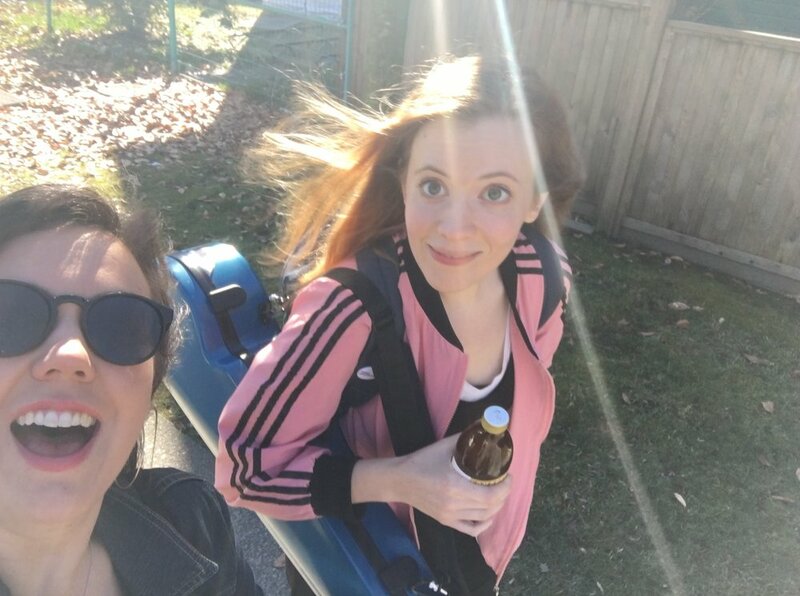 Together with playwright Christine Quintana, Molly is the co-creator of Never The Last, a genre bending show centred on the life and work of 20th century Canadian composer Sophie-Carmen Eckhardt-Gramatté. Molly is Artistic Associate of The Little Chamber Music Series That Could, an innovative series with a focus on multi-arts pollination, community engagement, and local history. Molly’s extensive orchestral experience includes the Vancouver Symphony Orchestra, Plastic Acid Orchestra, Vancouver Film Orchestra, and Allegra Chamber Orchestra, an all female ensemble dedicated to celebrating women composers and performers. Molly also performs regularly with the Black Dog String Quartet and indie-pop band Yawn. Molly’s work has been featured a number of times as part of the rEvolver Festival and we are so happy to see the continued growth and success of her work in and on ‘Never The Last’. Molly: Late 20's, high functioning and friendly but with something a bit weird going on behind the eyes. Known to hum nervously to herself in public. This patchwork career I've built for myself. I'm honestly still pretty stunned by the sheer variety of work I get to do: everything from playing in indie rock bands to creating weird indoor tent installation pieces to performing with symphony orchestras. It's wild, in the best possible way. Nothing too crazy. I'm a classical musician. I have dignity. I've been known to turn out some pretty impeccable (read: embarrassing) dance moves. Forget what I said earlier about having dignity. East Van Panto, every year. It's a treasure. I also recently saw Hot Brown Honey, and it absolutely lived up to the hype. If you could sit down with any theatre artist and/or musician living or dead and have a long chat, who would you sit down with? Right now, definitely Sophie Carmen Eckhardt-Gramatté. What is Never The Last about? Never The Last is a love story: it explores the lives of Sophie-Carmen Eckhardt-Gramatté, one of the most brilliant composers of the early twentieth century, and German Expressionist painter Walter Gramatté. The couple’s 10 years of marriage, marked by adventure, poverty, artistic strife, and tragedy, are framed through Eckhardt-Gramatté’s 10 rarely performed violin solos. 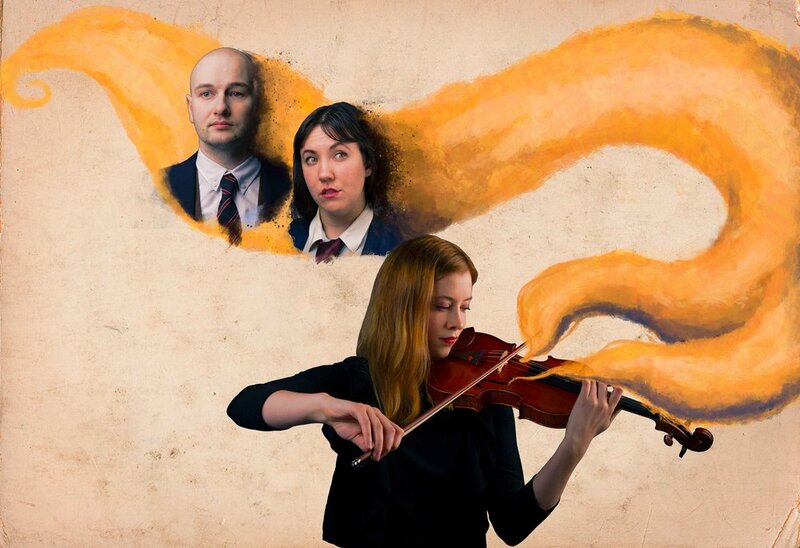 The show is a concert/theatre hybrid of sorts, blending live violin performance, movement and text to tell the story of these two incredible artists. I have loved Eckhardt-Gramatte's violin caprices for many years and I'm so very excited to share her music with new audiences. Show up on time, be rigorous, be kind to everyone including yourself. Also take a full day off at least once a week, for the love of all things holy. Go outside, eat some sushi, be a human!